Pitchers and catchers report to spring training on February 19, 2015, at Camelback Ranch in Glendale. 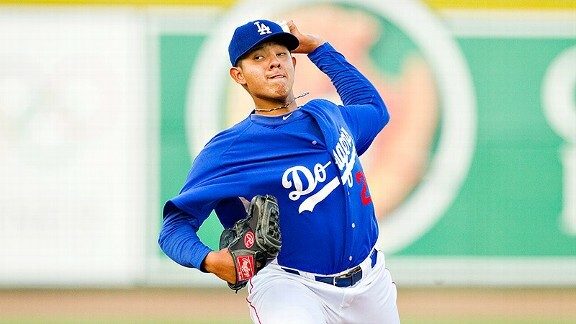 This entry was posted in Breaking news, JP on the Dodgers, On The Farm, Spring Training and tagged Ali Solis, Buck Britton, Chris Anderson, Chris O'Brien, Corey Seager, Darnell Sweeney, David Huff, Erisbel Arruebarrena, Josh Ravin, Julio Urias, Kyle Jensen, Matt Carson, O’Koyea Dickson, Robert Carson, Ryan Buchter, Sergio Santos, Shawn Zarraga by J.P. Hoornstra. Bookmark the permalink.